The microphone is an essential part of online life to allow you to have clear interaction with your friends and audience whether it is in-game, or recording a live stream; and for non-professionals that do not require an audio desk, a desktop USB microphone is your go-to friend. For some while now, the Blue Yeti has been the go-to solution for such tasks, whether it would be for streaming, recording videos on YouTube, or recording a Podcast with friends. Arozzi, a relatively young team based in Sweden, are now offering an alternative for high-quality USB microphone, of which the Colonna is their flagship part. Available in Black, Gold, Silver, and Rose, the Colonna is a desktop microphone that is mounted on a heavy-duty base that in some sense does appear to be Blue Yeti esque. It features a 5/8 inch thread, which will enable it to be mounted on a standard microphone boom, and is completely plug & play. It features a headphone port for microphone monitoring, and features onboard dials for headphone volume, microphone sensitivity, as well as a switch to mute the microphone. At its heart, the microphone uses three 14mm high-quality condenser capsules that can pickup audio in three polar patterns (Cardioid, Bidirectional, Omnidirectional), which can be selected with the dedicated button. 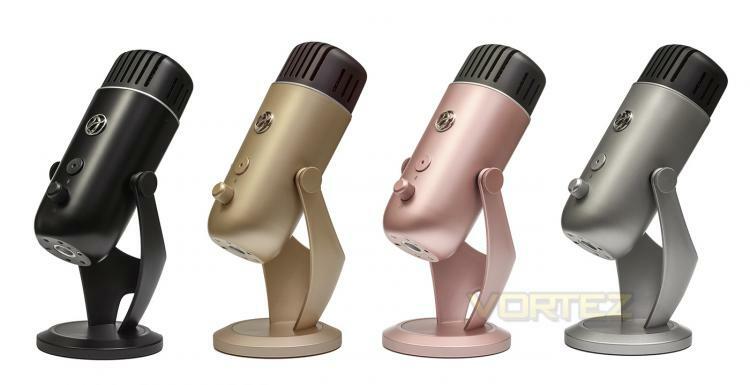 Coming in at €99.90, it undercuts the Blue Yeti's pricing for their basic models, and so Arozzi are positioning themselves to provide better value than the competition.